Get the control on your fairways you’ve always dreamed of. A Model Fairway, Rough, and Trim and Surrounds mowers. Now your presence can be felt on every part of your course. That’s the control you get with the A Model mowers from John Deere. 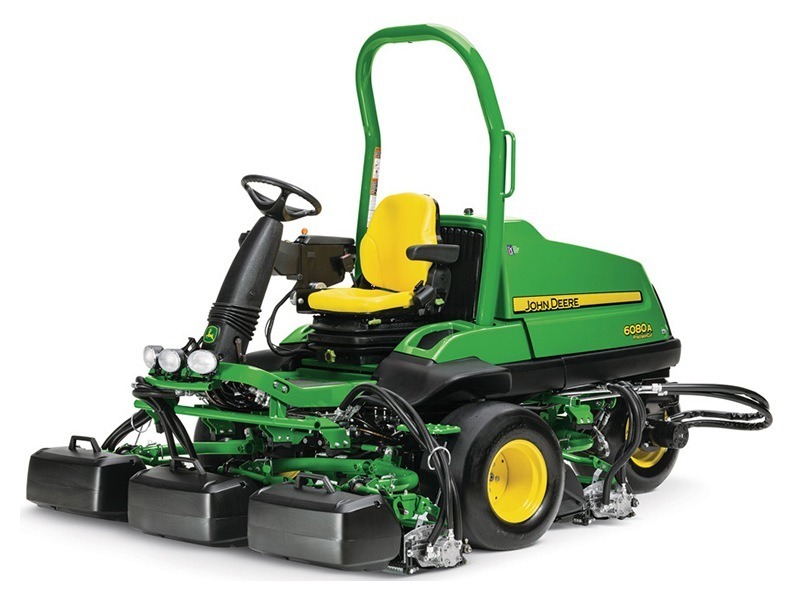 Thanks to our TechControl display, no matter who is operating the mower, you can easily program these mowers to mow and turn at exact speeds, to transport at preset speeds, and to lock in fuel savings. You can also plug in service reminders and get diagnostic feedback quickly and accurately. And all of your operators can now perform in a more consistent fashion. But that’s only part of the A Model story. There’s the proven technology you get with our E-Cut™ Hybrid Fairway mowers. The increased traction drive on our Trim and Surrounds mowers. The superior contouring deck system on our Rough mowers. The improved after-cut appearance and operator stations. And so much more. 18.4-kW (24.7-hp) Final Tier 4 (FT4) diesel engine offers plenty of power for mowing. Three-wheel stance and smooth tires for excellent maneuverability and after-cut appearance. TechControl display maximizes performance and uptime by allowing more control in operation and diagnostics. LoadMatch™ electronic setting compensates speed of machine to keep power to the cutting units to maintain cut quality. eHydro™ hydrostatic pump for premium ease of use. GRIP all-wheel drive traction system moves flow from wheels that slip to those that grip. Double-acting, single-rod hydraulic steering cylinder for lines as straight as a greens mower. Easily accessible daily service points mean less maintenance time and more time working. Cutting units are stable for easy transporting.